Also called horizontal drilling or deviated drilling, directional drilling involves deliberately shifting a well’s path from the vertical. 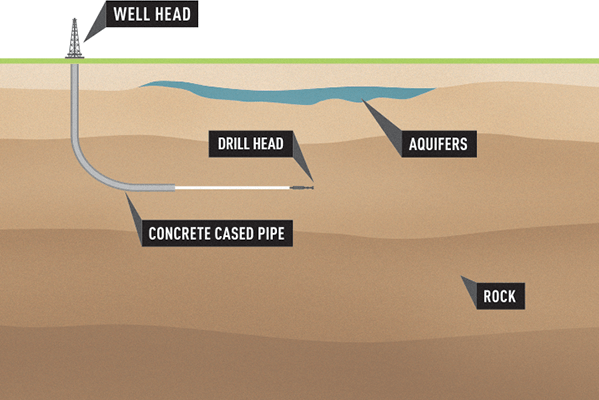 Wells can be deviated until they are running horizontally. They can even be deviated upwards, back towards the surface, from the horizontal.